SOURCE: Special Counsel Robert S. Mueller III, Federal Bureau of Investigation (30 December 2018) The United States vs. Michael T. Flynn, Crim. No. 17-232 (EGS), CNN. 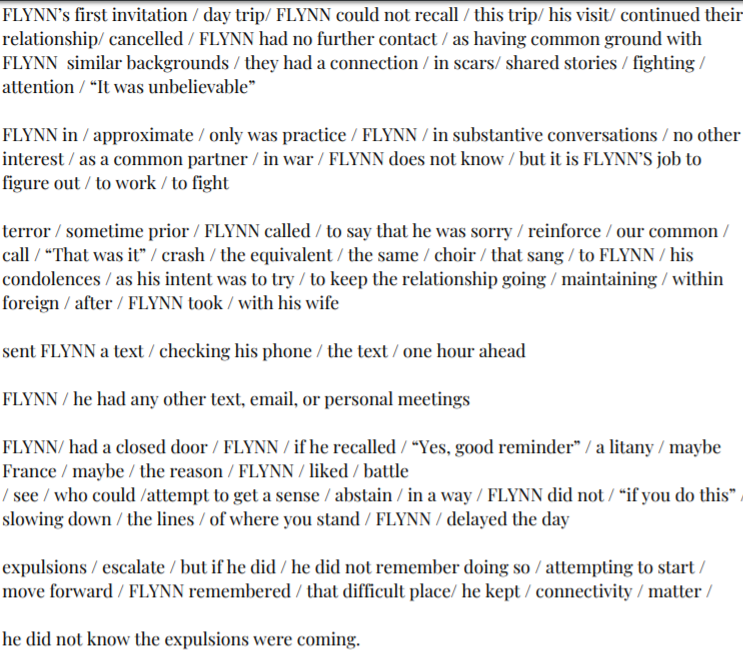 Retrieved from https://www.cnn.com/2018/12/17/politics/mueller-memo-doc-flynn/index.html/. METHOD: Found from court filings from the Special Counsel office (Department of Justice). I read the legal briefs & chose words that I wanted to use in the new poem. Melissa “City” Saunders is a writer, artist, student, and native of Dorchester, Massachusetts. She is a Virgo sun, Taurus ascendant, Libra moon. Saunders loves writing and loathes writing bios.